The COVOX monitoring programme provides you with an accurate cardiovascular measurement that will help take the guesswork out of your training. This is not a fitness test. Our programme monitors your cardiovascular fitness improvements as your training progresses. you indicate that you wish to stop. 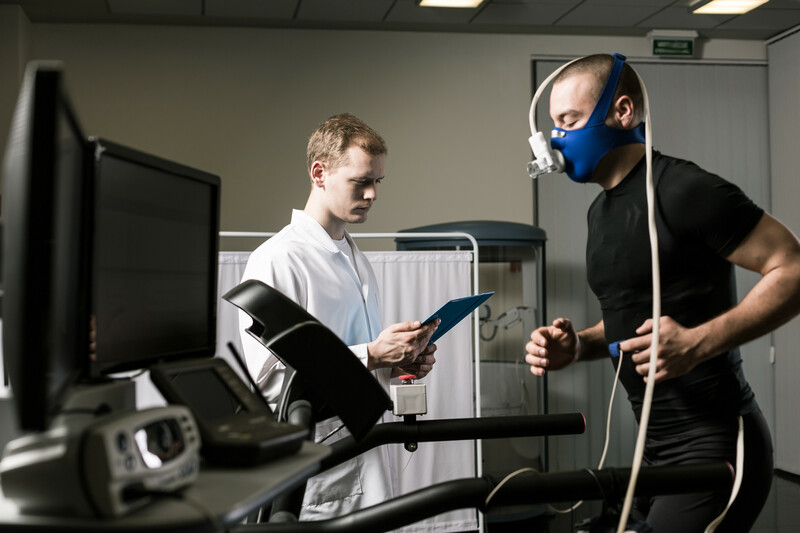 During this time we measure constantly your oxygen consumption and heart rate to provide a unique personalized sub maximal measurement, which we can then compare with subsequent measurements. The basic programme covers six months of your training (or longer if you wish), which includes a base line measurement followed by a further measurement at month 3 and month 6. You can increase the interval between measurements, but reducing the time between measurements is not advised, unless you have a specific requirement. We are due to launch during January 2018 at the Barefoot Physio, Bartholomew Street East, Exeter. Please register your interest in the form below without obligation and claim your 33% discount voucher. Let us know if you are interested in a monitoring programme simply for yourself, or a group. Please complete the registration form below without obligation.